After three decades, anniversaries begin to take on a special significance. They almost demand more attention. This weekend marks the 32nd anniversary of the annual Mushroom Festival in downtown Kennett Square (http://mushroomfestival.org). A special highlight will be a live performance by 10,000 Maniacs. This year marks the 30-year anniversary of the release of their critically acclaimed, break-out album, “In My Tribe” – an album that Rolling Stone Magazine included in its “100 Best Albums Of The Eighties.” The band will perform most of the songs from this recording at this show. 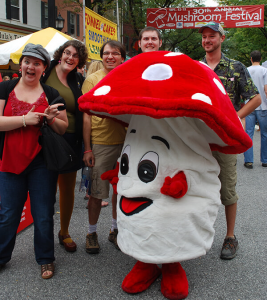 The Mushroom Festival will run from September 8-10 at various locations in downtown Kennett Square. 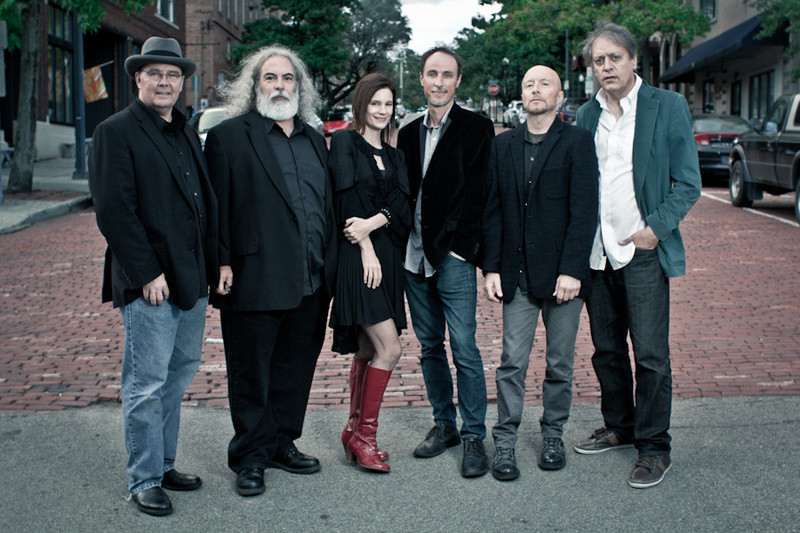 The 10,000 Maniacs’ concert is scheduled for September 9 at 8 p.m. in the Special Events Tent. Founded in the fall of 1981 in Jamestown, New York, 10,000 Maniacs won the hearts and ears of music fans around the world — and sold more than 10 million records. Together with artists like R.E.M. and The Replacements, they helped define “college rock” and the first wave of “alternative rock” bands with their pop-conscious, literate and lush aesthetic. The current 10,000 Maniacs’ line-up includes founding members Steven Gustafson (bass guitar) and Dennis Drew (keyboard, vocals) along with Mary Ramsey (lead vocals, viola), Jeff Erickson (guitar, vocals), John Lombardo (guitar, vocals) and Jerome Augustyniak (drums). 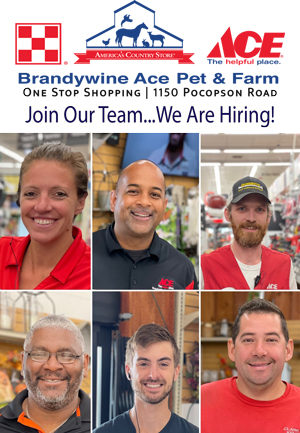 “We’re still based in western New York – in Jamestown,” said Ramsey, during a phone interview last week from her home in Buffalo, New York. “I grew up in Fredonia, New York and then moved to Buffalo in 1985. John lives here in Buffalo too. We’re all still in this part of the state. “My joining 10,000 Maniacs as their singer just sort of happened. John and I have had a folk-rock duo for 25 years called John and Mary. We opened for 10,000 Maniacs on tours in 1990 and 1993. “We did the tour when Natalie (original lead singer Natalie Merchant) departed the band. The group asked John and me to write songs with them. The first CD we made with them was ‘Love Among the Ruins’ in 1997. “Replacing Natalie was challenging. But, any kind of transition is challenging. The band wanted to keep going – and to keep its signature sound. “With Natalie’s vocals, I just sing them and respect them. I just try to sing from my souk and hopefully sing in tune and do a good version of it. In June 2016, 10,000 Maniacs released “Playing Favorites” on Omnivore Recordings. The live recording was the follow-up to the band’s highly-acclaimed 2015 release “Twice Told Tales,” a full-length collection of traditional British Isles folk songs. “We are piecing together a new studio album,” said Ramsey. “We’ll be working on it in December. I write a lot of the lyrics and melodies but everybody contributes. We bring what we’re working on to the table. Video link for 10,000 Maniacs – https://youtu.be/0-1GFgbPCik. Fun-GUS makes the rounds during last year’s Mushroom Festival. On Saturday, gates at the Special Events Tent open at 7 p.m. General admission tickets are $40 and VIP seating is $65.00. Admission to the festival is $3 per person (12 and up). For more information call 610-295-3373 or visit http://mushroomfestival.org. Now in its 32nd year, the annual party is expected to draw more than 100,000 festival fans and mushroom lovers. Some of the main attractions are the Amateur Mushroom Cook-off, an Antique and Classic Car Show, the National Fried Mushroom Eating Championship, and a Mushroom 5K Run/2-Mile Walk. On September 8, the Mushroom Festival kicks off with its annual parade. The community parade starts at 6 p.m. at State and Willow streets. Post-parade activities include live music, dining in the borough’s acclaimed restaurants and dancing in the street. Six finalists will prepare an original recipe with hopes of winning a $500 first prize and an opportunity to compete in the World Food Championships. The feature car at this year’s auto show is Jungle Jim Lieberman’s 1973 Vega Funny Car. The National Fried Mushroom Eating Championship is scheduled for 3 p.m. in the Special Events Tent. Contestants will be competing for a $1,000 prize by eating the most fried mushrooms in eight minutes. Other festival activities include a mushroom soup sale at the Masonic Lodge, a Cute-as-a-Button (Mushroom) Baby Photo Contest, cooking demonstrations in the Culinary Tent, the Painted Mushroom Silent Auction, live music on the Community Stage and a visit by 6-ABC’s Katherine Scott (Saturday only).